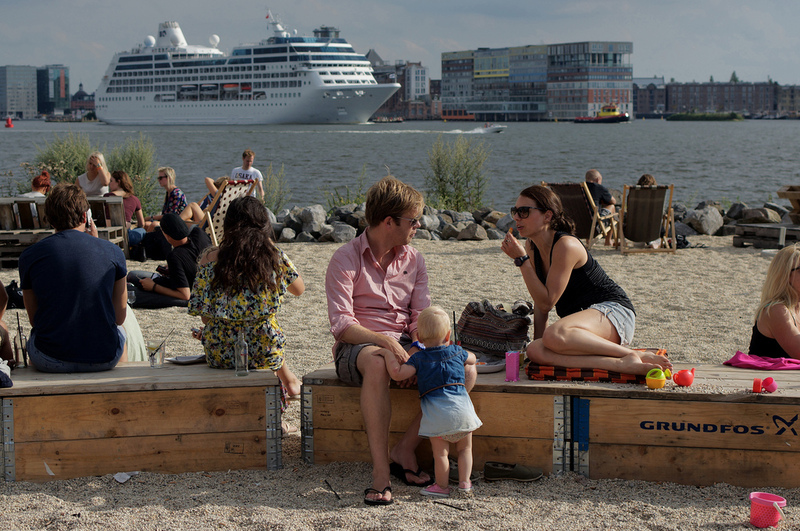 Amsterdam has one advantage during summer: it’s located in The Netherlands! What I mean is, the summers here are not that hot, and if the temperatures are rising this usually doesn’t last long. I know that while celebrating summer holidays this can be devastating, but for a city trip it is actually not that bad! There are days though when the temperatures can become tropical, and often accompanied with a humidity that makes you long for a really cool breeze. For those days I share with you 5 places to escape the warm streets. Another advantage: all these places are part of the city, not somewhere on a distance! I included directions with public transport although some places you can also go to by bike or on foot. Continue reading to find out where they are! Vondelpark, a park named after a poetry and play writer Joost van den Vondel is Amsterdam’s most famous park. It lies very central in the city, and it’s a perfect place to cool down after exploring the city center. 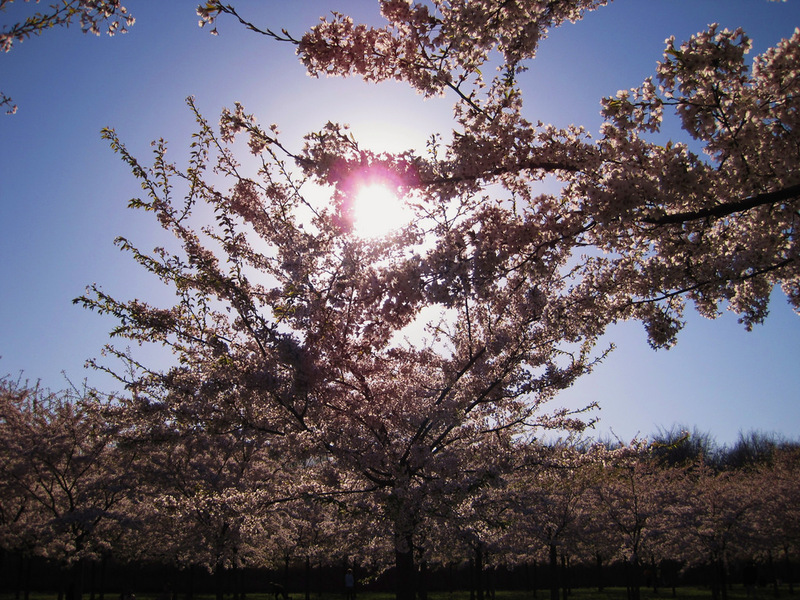 The park was created in 1865, thanks to a group of fortunate citizens who bought land in the city to have their own park. Architect Zocher designed the park, and although it has been renovated a couple of times, it still has its own style and allure. 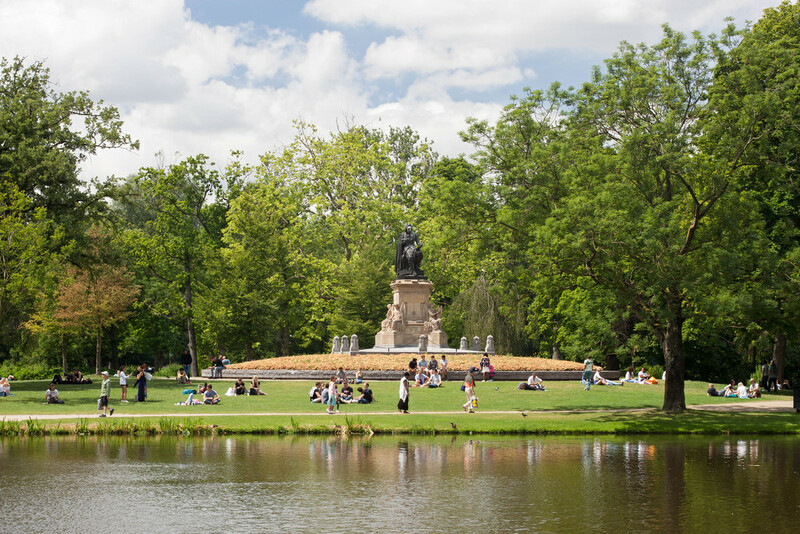 During summer the Vondelpark can become very crowdy, since it’s a popular park as well as for tourists as for citizens. 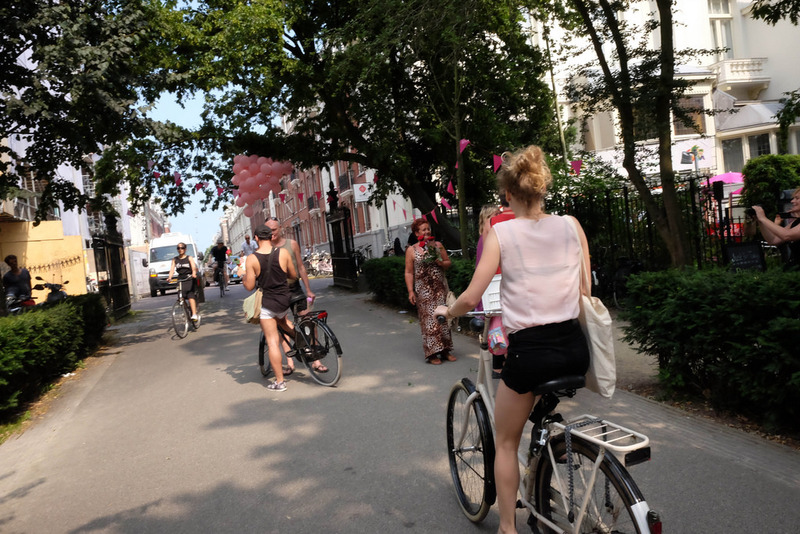 Don’t worry, there are more places to cool down during summer in Amsterdam! Directions: from CS take tram 2 towards Nieuw Sloten, stop Van Baerlestraat. Westerpark, you can read in the name, lies in the west of the city. After your stroll through the Jordaan area, you can walk easily towards this park to chill out on a hot day. You might sit down in the large grass fields this park contains, or pick one of the cafes to enjoy a refreshing drink on a terrace! For example there is this wine bar you can also read about in this blog I posted earlier this year. This park is relaxing, and often also the location for concerts in the for Dutchies well-known concert hall in the Westergasfabriek. Directions: from CS take bus 21 towards Geuzenveld, stop Haarlemmerplein, or bus 18 and 22, they also stop at Haarlemmerplein. Go towards the West even further and you will find a lake! Or well, actually it is a pond, but it is large! It is the Sloterplas, and during warm days this is a very nice place to cool down. On one side there is a small beach, on another side a park, and on again another side a couple of bars with a nice view on the Sloterplas. You might find a place on the beach, on a terrace, or just take a seat on a bench alongside the waterside. The breeze the water brings will be welcome on hot days! Directions: from CS take tram 13 towards Geuzenveld stop Slotermeerlaan (nearby entrance of the park) or tram 17 towards Osdorp, stop Meer en Vaart (this is where you can find the terraces). This place, a forest/park called Amsterdamse bos, is not a place you will cross by while exploring the city, since it lies a bit on a disctance. Not that much however. By bike it is a 15 minute ride from Vondelpark. 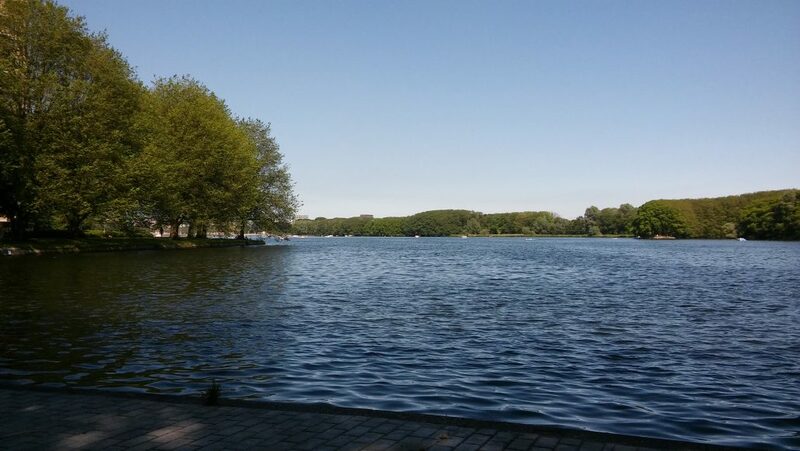 The Amsterdamse bos is worth a visit and an ideal destination while you are on a city trip for a couple of days. Take your time since it has a lot to offer, the total size of this forest is three times larger than Central Park of New York City! Through the summer a couple of festivals take place in this location. A calendar of all events that take place you can find on the website. Direction from CS: take bus 170 or 172 towards stop Boswinkel. 5. In the north and the east: across the river IJ. The part of Amsterdam across the river IJ is becoming more and more interesting. New places are developed, older locations renovated, it is the part which is developing continously. One place on Oosterburgereiland opened its doors in 2011 and has been special ever since. 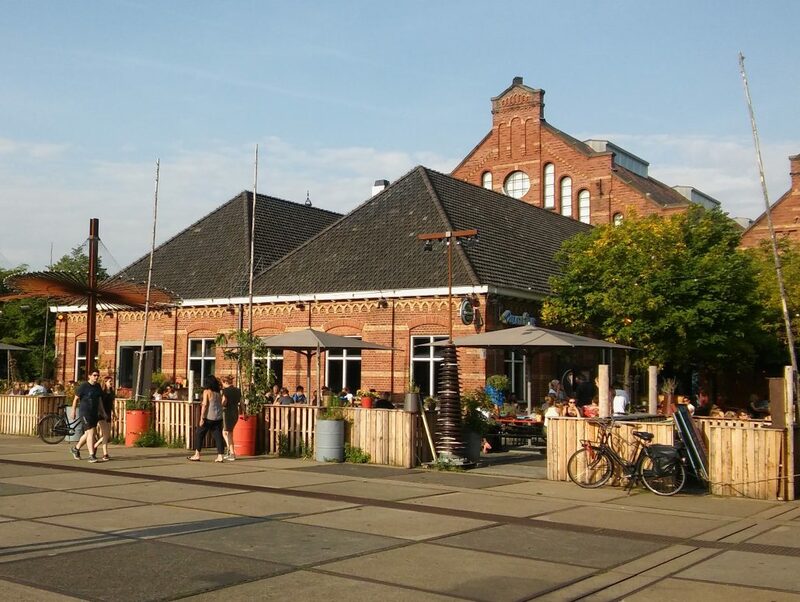 The name of this bar is Roest, a bar/cultural events/terrace/ whatever comes up in the minds of the owners! Nice for during hot days: they have a beach! No need to say more I think. If you’ve gotten curious, you can check out some picturs on the Instagram account of Roest here. Also other places alongside the IJ river located more nearby the city center, for instance at NSDM werf, are excellent locations to visit on warm days. Taking the ferry accross the pond already will cool you down, and proceeding with a nice cold drink on one of the terraces, or on the beach, will definately help you getting through hot summer days. Directions from CS: to visit Roest, go to the IJ-side of the Central Station to take tram 26 towards IJburg, stop Rietlandpark. To visit NDSM take the ferry from stop Veer, also on the IJ-side of the Central Station. 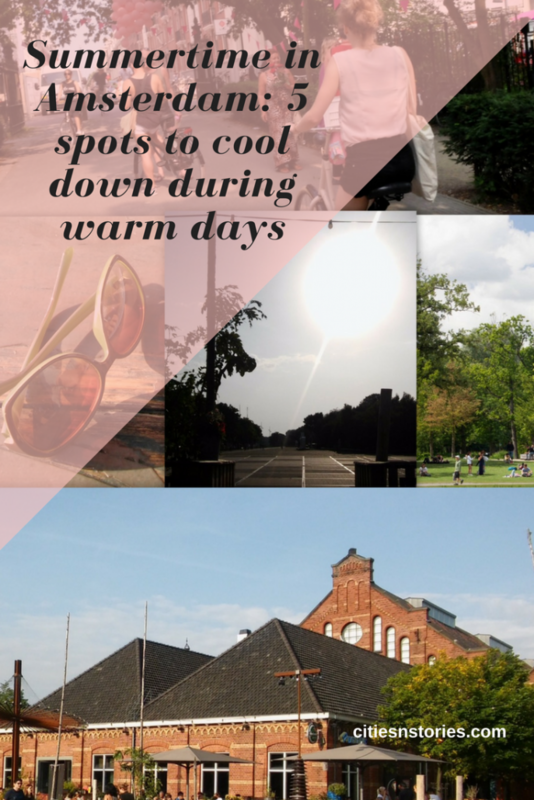 These were my tips for where to go in Amsterdam during warm days. My last tips: once you visit Amsterdam, don’t forget to purchase your I amsterdam City Card. The I amsterdam City Card is your ticket to a more affordable, action-packed trip to Amsterdam. It provides free entry to the city’s top attractions, unlimited travel on public transport, a free canal cruise and significant discounts and giveaways.